A jewelry story in Osaka has put on display a solid-gold statue of Ebisu, the traditional Japanese god of good fortune and other nice things. If you can't afford the $8 million price tag of this 16-inch version, smaller models are also available, such as a tiny 1-gram charm on a cellphone strap for only $100. 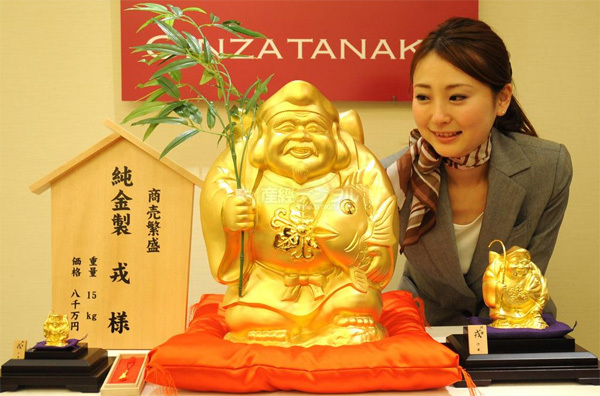 Ginza Tanaka's pride and joy—alongside its $8 million gold statuette.